A study published in Molecular Nutrition & Food Research, was performed in order to show whether a dark roast coffee beverage had stronger antioxidant effects on humans than a light roast. In other words, dark roast coffee is more effective than light roast coffee in reducing body weight, and in restoring red blood cell vitamin E and glutathione concentrations in healthy volunteers. So how did we as a country get so fat? 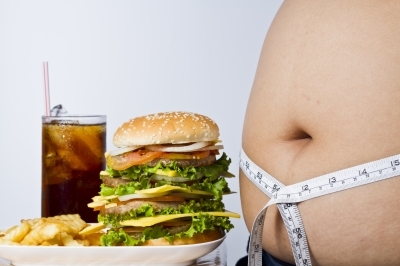 What caused our weigh gain and its inherent health risks? Many self proclaimed experts say, “Americans are eating too much.” Is it just a matter of calories in versus calories out? Is it really as simple as reducing the amount of food we eat, exercising more or both? Are we really eating too much, or is it what we’re eating? Do man-made substances in our food really make a difference in our ability to maintain a healthy weight? Well, Yahoo Health has put together a list of 20 habits that can add to your bottom line so to speak. Here are 5. 1. Eating low fat. What do low-fat meals replace fats with? Carbohydrates. Remember carbs are non-essential. Meaning, you don’t have to consume them to be healthy. the lower your carb intake, the lower your insulin levels. The lower your insulin levels the less food you store as fat on your body. 2. Drinking soda, even diet soda. Because a 2005 study found that drinking one to two sodas per day increases your chances of being overweight or obese by nearly 33 percent. And diet soda is no better. 3. Skipping meals. A study from the American Journal of Epidemiology found that people who cut out the morning meal were 4.5 times more likely to be obese. Why? Skipping meals slows your metabolism and boosts your hunger. 4. Watching too much TV. A University of Vermont study found that overweight participants who reduced their TV time by just 50 percent burned an additional 119 calories a day on average. 5. Eating when emotional. A study from the University of Alabama found that emotional eaters—those who admitted eating in response to emotional stress—were 13 times more likely to be overweight or obese.